The Texas State Board of Education held the first public hearing on new instructional materials yesterday, where the main topic, you may be shocked to learn if you’re visiting this website immediately after awakening from a coma that was induced before the Scopes Monkey Trial, was the teaching of evolution in science classes. The hearing ended with what the Texas Freedom Network, an organization in favor of the teaching of evolution whose website live-blogged the entire thing, called “a lopsided victory for science.” And while that “victory” includes a commitment from the SBOE to ask publishers of textbooks to make any changes to their materials public before the board adopts them, the final vote on the books currently in question won’t occur until November. The long and protracted battle over the content of the books will continue, probably until either humans have evolved into a different species alltogether or the rapture occurs (depending on which side of this debate you fall on), but in the meantime: You can’t tell the players without a scorecard, and these are the names to know as you watch the battle continue. Don McLeroy, a dentist from Bryan, is the former State Board of Education chair, who lost his 2010 re-election bid for the Republican primary to current board member Thomas Ratliff. He began his stint on the board in 1998, and was appointed chair by Governor Perry in 2007. He’s an opponent of the teaching of evolution. At Tuesday’s hearing, he surprised the current board members when, testifying as a civilian, he suggested that they adopt the books that the pro-evolution side approved of. As the Texas Tribune reports, Dallas SBOE member Mavis Knight asked him, “Are you saying ‘adopt these books’ facetiously?” He was not; according to McLeroy, the books under consideration contain “hidden gems just waiting to be mined by inquisitive students” that there is no evidence for evolution. The Texas Freedom Network characterized McLeroy’s stance as saying that “the textbooks make such weak cases for evolution that the only alternative is what the Bible says.” Other opponents of evolution disapprove of the books. Kathy Miller is the president of the Texas Freedom Network, which has spearheaded the battle against anti-evolution forces in Texas since 1995. Miller has served in her current role since 2005. Miller’s testimony at the hearing included distributing materials that TFN commissioned from doctoral candidates in the sciences from the University of Texas and Southern Methodist University in review of the materials under consideration. (They found that the SBOE “failed to pressure publishers into including ‘junk science’ that questions evolutionary theory,” which is a kind-of backhanded way to say they liked the books.) She concluded by asking the board not to take a vote until both the board members and the public have had a chance to review the final texbooks, which the SBOE agreed to do. As chair, most of Cargill’s statements during Tuesday’s hearing involved the citizen review process for the books. She made several remarks about the lack of “qualified science reviewers” serving on the review teams. This seemed to irritate the Texas Freedom Network, who responded on their live-blog of the hearing, “We’ve been making that very point for weeks now. So why were there so many unqualified reviewers on the review teams? Why have you defended those unqualified reviewers? And why were qualified reviewers denied spots on those teams?” Sick burn, but Cargill also stressed that the review teams’ reports were preliminary, and the real decision-making would come from the board in November. Ron Wetherington is an anthropology professor at SMU who’s featured in the documentary film The Revisionaries. That film told the story of McLeroy’s final term and re-election, and the challenge—mounted by Wetherington and TFN President Kathy Miller—to unseat him. Wetherington complained about the review process for the textbooks, adding his voice to a number of others on the matter. 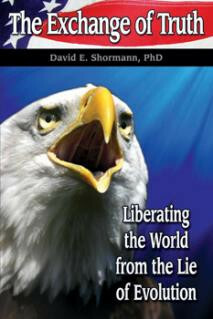 Shormann, who holds a Ph.D in marine chemistry, focused his testimony on what he claimed was an insufficient attention to epigenetics, or the study of changes in gene expression that are the result of something other than changes in the DNA sequence, in the textbooks. Opponents of evolution have long claimed epigenetics as a fatal flaw in evolution. 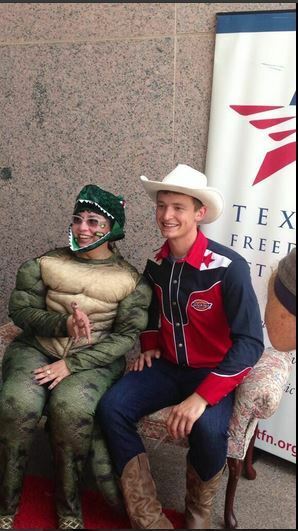 Ra’s testimony was described in the Texas Freedom Network liveblog as “a two-minute science lesson,” which received no questions from the State Board of Education.